AIFF a bridge, through the art of film, to encourage international awareness and understanding as promoted by young people! 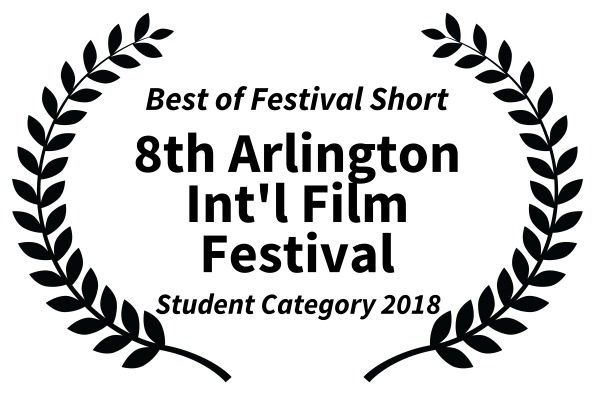 The Arlington International Film Festival (AIFF) through its Student Filmmaker’s Program, seeks to honor what young filmmakers, 18 and younger, are bringing to the screen with their agility of mind, inventiveness, and passionate idealism. Through the medium of film, we are seeing students take stock of the diverse array of social issues here and around the world and mobilizing to illuminate and act upon the interconnections we share. AIFF is pleased to provide a platform for these young filmmakers to speak out, communicate and forge alliances rooted in mutual respect, while synthesizing different experiences and points of view. Through the screening of these films, we encourage young filmmakers to share their vision and perhaps encourage the creation of a better tomorrow. COME… support the STUDENT FILMMAKER’S PROGRAM and enjoy the creativity of film-making! Sam was once a bestselling author. His fiancée Mia is getting promoted at her job as Sam hits a writer’s block. In an act of desperation, he stops taking his medication and is left to fixate on the question, ‘what is more important, love and his relationship with his fiancé or success’? AIFF, now in its seventh year of production continues to grow student filmmaker submissions from around the world, introducing audiences both young and mature to subject matter ranging from pure entertainment and fantasy to commentary on social, economic and political issues of our time. Special thanks to our sponsors of the Student Filmmaker Program: ACMi, CambridgeDay.com, InsideMedford.com, Kumon, Malden Media Center, YourArlington.com and to RCN, the Gold Sponsor of the Festival. The VOICES OF OUR YOUTH in Arlington, MA converge this year with the voices of youth across the country and from Australia, Canada, China, India, Mexico, Netherlands, and Portugal. Watching High School student films is a process of discovery. Come, sit back, and wait for the unexpected; i.e. shorts addressing social justice, fictional exploration, depression, equality for women, disabilities, relationships, and artistic aspirations. A boy struggles with depression, and his only way to fight it is to get from Point A to Point B as fast as possible. A commentary on the disconnect of accepting refugees seen through the eyes of teenagers. 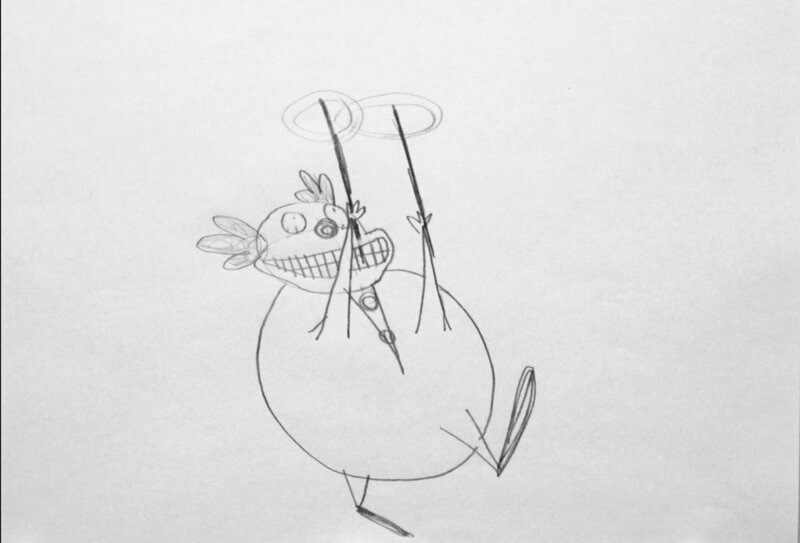 Hand drawn animation depicting a circus leader attempting to work with a group of clumsy clowns. With Charles, the snobby leader of the male-dominated robotics team, and Nancy, the mother who she cannot connect with, Rosa struggles to follow her passion for science. A man finds himself in an unknown location face to face with another. A nonconsensual game of Russian Roulette ensues while the victim searches for a way to escape. Local dancer and choreographer, Junior Cius talks about his motivations as an artist. Created as part of a series of video profiles focusing on young entrepreneurs and community leaders from Cambridge. An exploration into the uprising in response to Freddie Gray's death and its impact on youth. Hear from different voices about what is being done in Baltimore in the aftermath to provide support. Exploration of the near future when virtual reality machines have been banned, spawning a dangerous and alluring black market. A girl apologizes to her parents for losing herself and makes a promise to reconnect with her roots. A teenage girl reacts in outrage as her South Bronx neighborhood begins the process of gentrification. A romantic comedy with shoes! A portrait of a young creative seeking inspiration in the most artistically deprived borough in New York City- the Bronx. A Chinese-American learns to deal with the pressures of having immigrant parents with high expectations. She learns to balance their expectations and her own goals for the future. The human desire to connect, to be included, can come in the simplest of forms…water! The adventure of a germaphobe’s who must step out into the world for the sake of technology. Winner of the Audience Award and Best Actor Award in the 2016 Adrenaline Project Competition. Delve into the mind of Rose as she struggles to escape from a painful relationship. Madysen and Marina show why it's important to recognize history. With her physical disability, a high school girl realizes she’ll need more than her voice to succeed as a member of an A Capella group. The YOUTH Arlington International Film Festival (AIFF) is announcing its “Call for Student filmmaker’s Entries”. In keeping with our desire to promote local artists, the organizers of the Festival would like to invite local student film makers to submit their shorts. Part of AIFF’s mission is to nurture the next generation of filmmakers within our community. We welcome your submissions. Entry Forms & Release Forms: Forms can be downloaded from our website, www.AIFFest.org. We look forward to many interesting and artistic! Mission Statement: To foster appreciation for different cultures by exploring the lives of people around the globe through independent film — to nurture the next generation of filmmakers within our community. As we prepare to enter into the Thanksgiving and Holiday season, the Arlington International Film Festival would like to express our gratitude to all our sponsors, judges, volunteers, organizations, partners, high school students, musician, viewers, followers and indie filmmakers around the world that partner with us to produce this annual festival. A film about the bond between two kind souls of different backgrounds. It begins when they first met, charts their meaningful journey, and ends with their departure from this world, together. The film promotes friendship, diversity, equal rights, compassion, love and acceptance. The way dance makes your heart go boom, boom, boom. Drowning in the stress of a busy life, a girl remembers the beauty of her experiences to keep herself above water in this visual poem. Self-portrait of a young woman of mixed race. A dancer tells his story through motion against the background of Boston. A man has a great relationship with his IPhone. What happens when he gets too close? Self-exploration of color expressed poetically. An unflinching portrait of a conflicted Jamaican teenager struggling to be true to himself. When Will can't seem to get a girlfriend, his fairy godmother decides to help. Sure enough, wacky hijinks follow. But, when push comes to shove, can Will manage to win the heart of Anna while keeping his friendship with his fairy godmother intact? A man with a special gift finds a piece of himself in one the strangest places. AIFF is pleased to feature a film from this year’s Harvard College Film Festival that will be screened at the Student Filmmaker’s Program. In the summer of 2015, a gunman killed nine black parishioners in a Bible study at Mother Emanuel AME Church in Charleston, SC, blowing open the doors to conversations of race, rage, and reconciliation across the state. The Flag, made during the director's junior year of undergraduate studies, documents those conversations under the shadow of the Confederate Flag flying high in front of the South Carolina State Capitol Building in Columbia, SC. The Arlington International Film Festival would like to thank the Judges for jurying this year’s High School Filmmakers Competition. They are Michael Mahin (Writer, Film Critic, and Marketing Coordinator for special events at the Arlington Center for the Arts), Kevin Wetmore (Filmmaker & Youth Coordinator at ACMi), Jonathan Barbato (Production Manager at ACMi), and Naythen Lowe (Editor and creator of the DIYDS). On behalf of the Organizers and Judges of AIFF, we congratulate all those who submitted their films this year. The Judges were incredibly impressed with the breadth and diversity of material submitted. Each film combined technical excellence with a strong sense of place and character and each filmmaker should be proud of the film they submitted. We encourage you to keep on making films! An intimate view of family life when an autistic teenager returns home for a visit from a residential care facility. Arvonne Patterson was born and raised in Dorchester, MA. She is currently a senior at Madison Park Technical Vocational High School in Roxbury, MA. QUEEN was among the finalists in the 2014 Adobe Youth Voices Awards Finalist, a global, online competition that encourages youth to creatively express their vision for driving positive change in local communities. It’s an extension of Adobe Foundation’s philanthropic commitment and its global signature program, Adobe Youth Voices, which aims to ignite creative confidence in youth around the world by empowering them to find their voice and make it heard. “How do you live after surviving the Holocaust?” was the question posed to those that Joshua interviewed. The film weaves a collection of stories into a single narrative and answers this question in engaging and intimate dialogue. Joshua Tebeau, originally from Poland is currently a student at Deerfield Academy, Deerfield, MA. He conceived of this story as an 8th grader upon meeting child survivors of the Holocaust who spoke at his school. This is his first film originally envisioned as an 8 min short and evolved into a 27 minute film after editing numerous interviews and 40 hours of footage. In a fast-deteriorating world, a lonely hero must join together with an unlikely crew of misfits to uncover the secret needed to save their dying civilization. Alexia Salingaros is a high school filmmaker from San Antonio, Texas who has developed her passion for creating films since the seventh grade. She has had the honor of screening her films at SXSW, Scholastic Art & Writing Awards, and most recently was awarded “Best High School Filmmaker" at SAFILM. Sometimes the hardest traps to break free from are the ones we create for ourselves. Alexia Salingaros is a high school filmmaker from San Antonio, Texas who has developed her passion for creating films since the seventh grade. She has had the honor of screening her films at SXSW, Scholastic Art & Writing Awards, and most recently was awarded "Best High School Filmmaker" at SAFILM. Directors: Marcia Roy & Pavina Safarova, Abdoul Akanji, Maxner Brisson, Marvin Brunache, Adam Czimer, Charles Canario, Ivanna Vatamanyuk, Elmer Escobar, Nikolett Jakab, Timea Nick, Yara Barbosa, Rojelio Mack & aira Canto.